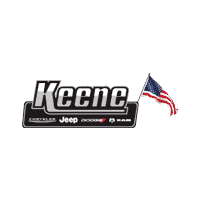 Manchester residents can expect nothing but great service and to find a vehicle that they are completely happy with when they visit Keene Dodge Chrysler Jeep RAM dealership. We’re firm believers that a customer’s interest comes first so we are always there to listen and help you make informative decisions on the vehicle that will be right for you and your family. Regardless of your needs, you can be confident to know that you are in good hands. We have a variety of finance specials offered to Manchester, NH residents on our website. Not to mention, Keene Chrysler Dodge Jeep RAM also provides various incentives for all buyers as well. Dependent on the amount of your down payment, our highly skilled team of financial experts will be able to come up with something so you can get the car you always wanted within reasonable means.Fill out our Finance Application to get the process started today. If a Manchester resident is looking to do their own repair work, they can be confident that our highest quality Chrysler Dodge Jeep RAM parts and the reliability rivals anything from third party vendors. Keene Chrysler Dodge Jeep RAM recommends conducting regular maintenance as it will help greatly with potential costly repairs, which is why we have a service facility located right at our dealership for those that do not do their own work.Fill out our Service Appointment form and we’ll take care of the work for you. Manchester resdients looking for a new or used car, parts, or service? Then head over to Keene Chrysler Dodge Jeep RAM today! Manchester is the largest city in the U.S. state of New Hampshire, the tenth largest city in New England. The so-called Golden Triangle between Manchester, Nashua and Salem is home to 608,494, nearly half the state’s total population. According to the Equality of Opportunity Project, released in 2013, Manchester ranked as the seventh best metropolitan area in terms of upward income mobility in the United States. The Manchester Planning Board, in its 2010 Master Plan, defines 25 neighborhoods within the city. More information about this city can be found on the official Manchester, New Hampshire website.